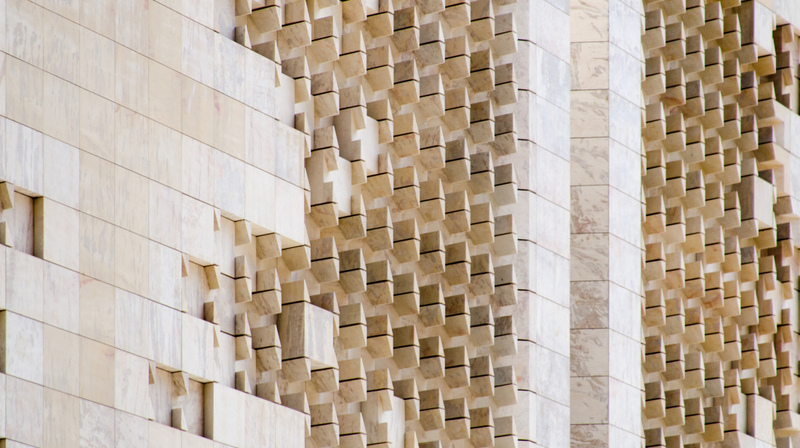 A detail of the new Parliament building as part of the Renzo Piano project for Valletta's entrance. Ordnance Street intersects with Republic Street - Valletta's main road which is mostly pedestrianised. The Valletta 2018 Foundation this afternoon reiterated that the smallest part of Ordnance Street, besides the new Parliament building, St James Cavalier and Pjazza Teatru Rjal, should remain unobstructed and no monti stalls are to be relocated there. Addressing a press conference, Valletta 2018 Foundation Chairman Jason Micallef announced that the Foundation has been proactive on the issue since early last year when it first received information on the relocation of the monti to Ordnance Street. Together with the Chairmen of six other public cultural organisations, (Albert Marshall for Arts Council Malta, Sigmund Mifsud for the Malta Philharmonic Orchestra, Dr Michael Grech on behalf of Teatru Manoel, Charles ‘City’ Gatt on behalf of Pjazza Teatru Rjal, Rupert Cefai for St James Cavalier and Dr Joseph Buttigieg for Heritage Malta), Jason Micallef sent a letter to the Minister for the Economy, Investment and Small Business Chris Cardona, responsible for the relocation of the monti, on the 29th July. The letter expressed disapproval regarding the relocation of the monti to the smallest part of Ordnance Street. A reply was received from the committee responsible for the relocation of the monti noting that it was not understanding the purpose of the letter. Valletta 2018 Chairman noted that an essential part of the Piano project for the city’s entrance was the creation of public open spaces. The part of Ordnance Street in discussion is a case in point and among the most essential since it links with the open space at Pjazza Jean de Valette. Monti structures, or any other structures that may be placed, will be obstructing the open space and will be disturbing business at Parliament, St James Cavalier – Centre for Creativity and Pjazza Teatru Rjal. Valletta 2018 Chairman strongly appealed for common sense to prevail and for the decision for the relocation of the monti to this part of Ordnance Street to be revoked now that we are still in time, in full respect to the economic, social and cultual regeneration as part of the island’s journey towards Valletta being European Capital of Culture in 2018.